The Schuberth S2 arrives after years of extensive engineering. The ultra-quiet S2 spent hundreds of hours in Schuberth's aero-acoustic wind tunnel to ensure optimum aerodynamics with reduced drag and lift for the quietest possible performance. Schuberth's industry-leading triple-matrix shell allows the S2 to be significantly lighter while still providing outstanding ventilation and comfort. 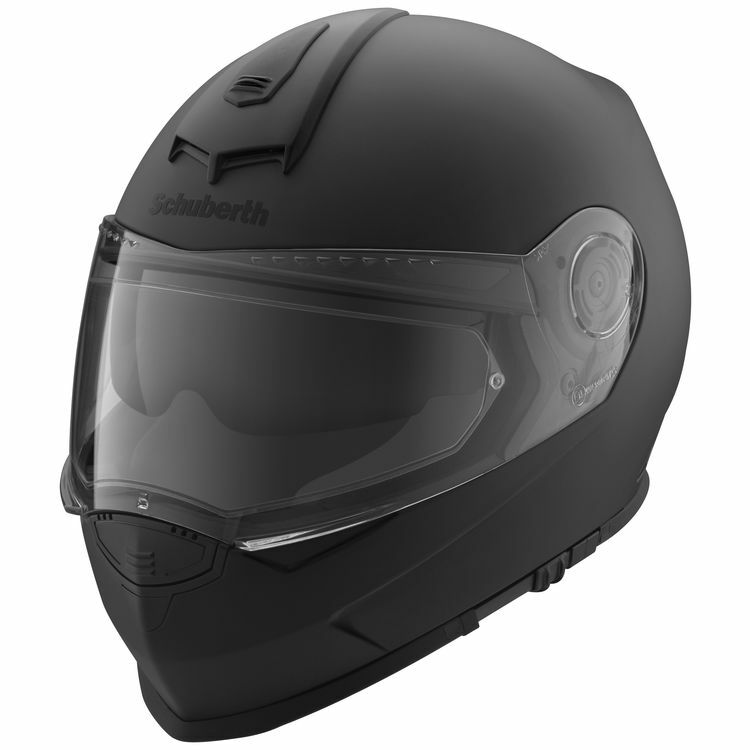 Specially developed by Schuberth, the AROS is a safety feature which, in case of an accident, ensures the chin strap is closed and properly adjusted. Is the s2 glasses wearer friendly? BEST ANSWER: I don't have any problem in glasses and I probably have glasses on 90% of my riding time. I think it would depend on the glasses themelves. The padding is tight to the ear so the smaller the frame the better. Works fine with glasses. Using the internal tinted visor can seem like a lot of layers but it works fine, no contact with my eye glasses at all. Yup. I wear sunglasses with mine most days. Plenty of room and plenty comfortable. Is the S2 available in white? BEST ANSWER: Yes. I purchased one in white. And is it the same pricing as the black? Is there room for uclear speakers? BEST ANSWER: Not certain on Uclear specifically. There are speaker pockets cut out in the EPS liner. I have a Sena 10R installed fine. The fit is a bit tighter with the speakers in there. I have to sort of reach in and un-fold my ears now after putting the helmet on, and getting my glasses temples past my ears is more of a squeeze than it was without. Didn't have to do that prior to installing. I feel like the cutouts could be a bit more generous, but the speakers do fit. It does reduce the amount of room in that area, but I think that is the case with most all helmets. Are all shuberth padding universal? How does the fit of this helmet compare to the Shoei RF1100?